The Third Symposium on The Ocean in a High-CO2 World, sponsored by SCOR, IOC, and IGBP, was held 24-27 September 2012 in Monterey, California, USA. 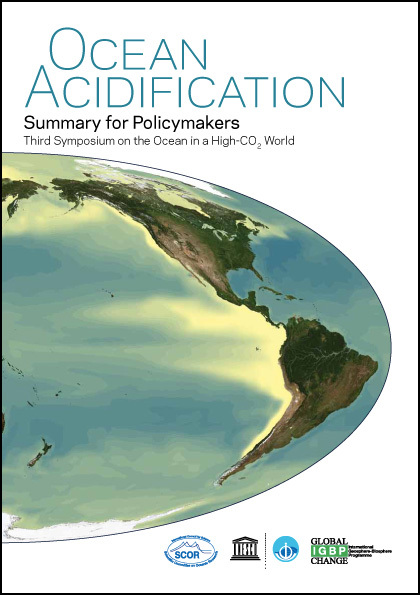 More than twice as many researchers participated than in the 2008 gathering, with 540 scientists attending from 37 countries, to discuss ocean acidification’s impacts on ecosystems, socioeconomic consequences, and implications for policy. 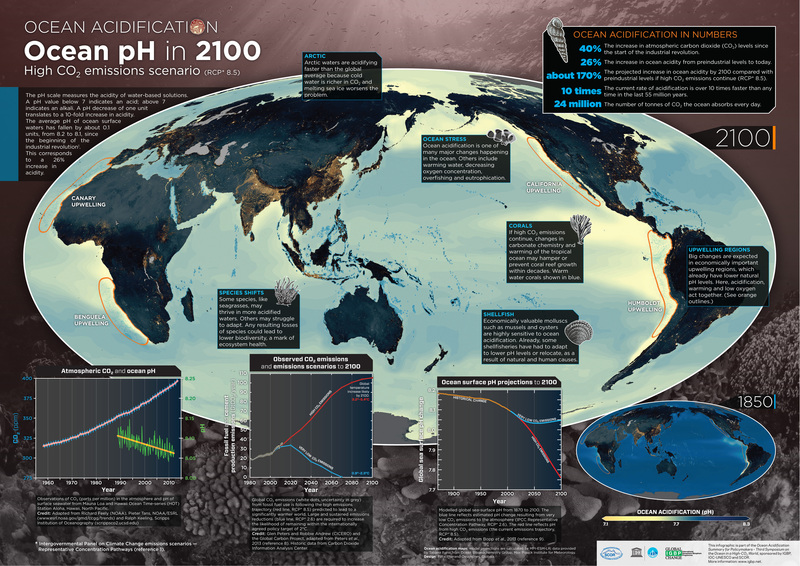 Papers from the meeting were published in a special collection of Biogeosciences (first published online in 2013). 16:00 Registration desk opens. 16:00-17:00 COMPASS Ocean Acidification Tapas Panel Discussion. 17:00-19:00 Icebreaker Reception. 19:30 – 23:00 – Dinner at Monterey Bay Aquarium – it is about a 1.3 mile walk. Trolleys will be available outside the Conference Center and departing every 10 minutes, beginning at 18:30. The Aquarium will open at 19:30. Trolleys will also return from the Aquarium later in the evening. 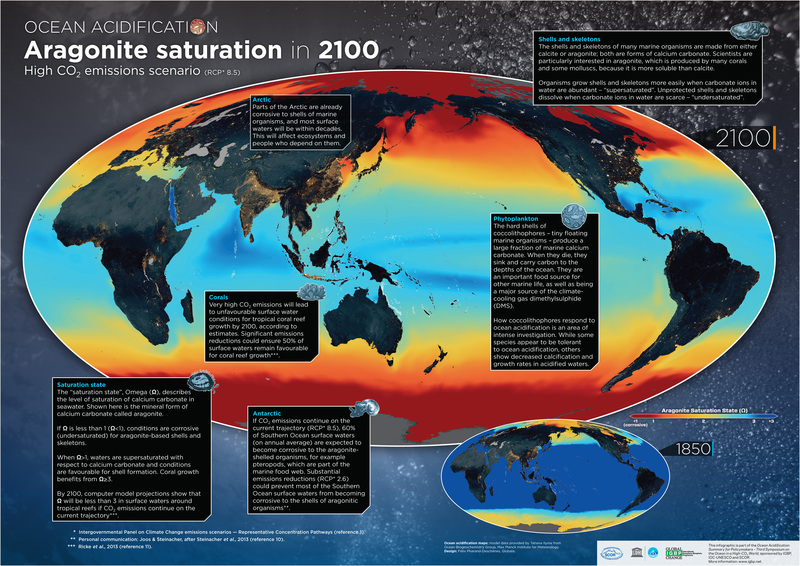 A special event jointly organized by the Ocean in a High CO2 World Symposium and the Blue Ocean Film Festival (BOFF) hosted by BOFF at the Golden State Theatre, Monterey, 417 Alvarado Street. *The X PRIZE Foundation is a non-profit organization that designs and manages competitions to encourage technological development. Google Liquid Galaxy During the symposium Google will be demoing its Liquid Galaxy system. Imagine Google Earth in 3D. Liquid Galaxy is an incredible rollercoaster ride around planet Earth. Step inside a chamber of monitors arranged in a circle around you, and fly anywhere in the world in seconds. Mountains, buildings, valleys, an even the ocean floor fill your peripheral vision.